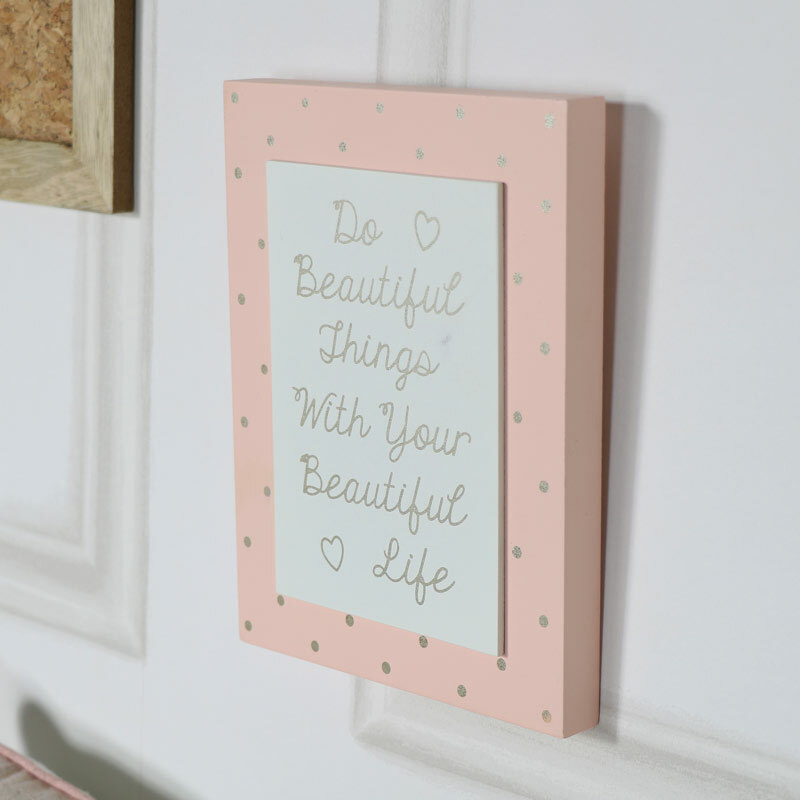 Wall Mounted Plaque "Do Beautiful Things..."
< Wall Mounted Plaque "Do Beautiful Things..."
Plaques can be a great way to express yourself and your style. This pretty wall plaque would make a thoughtful give for that special person in your life. 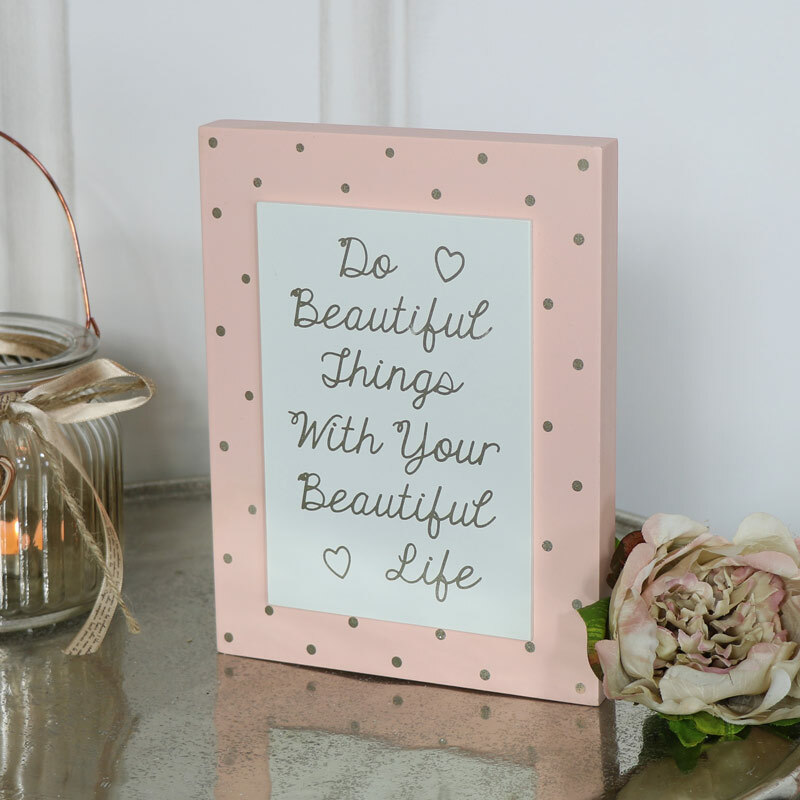 A lovely quote and sentiment printed in silver on a white background then mounted on a pink wooden block decorated with glittery silver polka dots. A fantastic way to express yourself and add a touch of love and humour to your wall. Perfect for adding a rustic, shabby chic feel to a wall. Plaques can be a great way to express yourself and your style. This pretty wall plaque would make a thoughtful give for that special person in your life. A lovely quote and sentiment printed in silver on a white background then mounted on a pink wooden block decorated with glittery silver polka dots. A fantastic way to express yourself and add a touch of love and humour to your wall. Perfect for adding a rustic, shabby chic feel to a wall. A lovely little plaque, made from resin in a pink and white painted finish and decorated with silver text and polka dots. Easily wall mounted with a hook on the back.